You can rely on Peterbilt TruckCare® to connect you to the help you need 24 hours a day, 365 days a year. Wherever you are in the U.S. or Canada, we’ll get you back on the road as fast as possible. Download our brochure to learn more about how Peterbilt TruckCare can help you when you need it most. 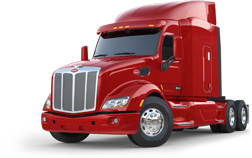 Your fleet is your business, and Peterbilt TruckCare Roadside Assistance covers all your vehicles. Breakdowns are handled efficiently and professionally, working either directly with your drivers or dispatchers. If you're a PACCAR Parts Fleet Services member, contact your Fleet Services representative to get set up. Fill out our Registration Inquiry Form to get set up today at no charge.